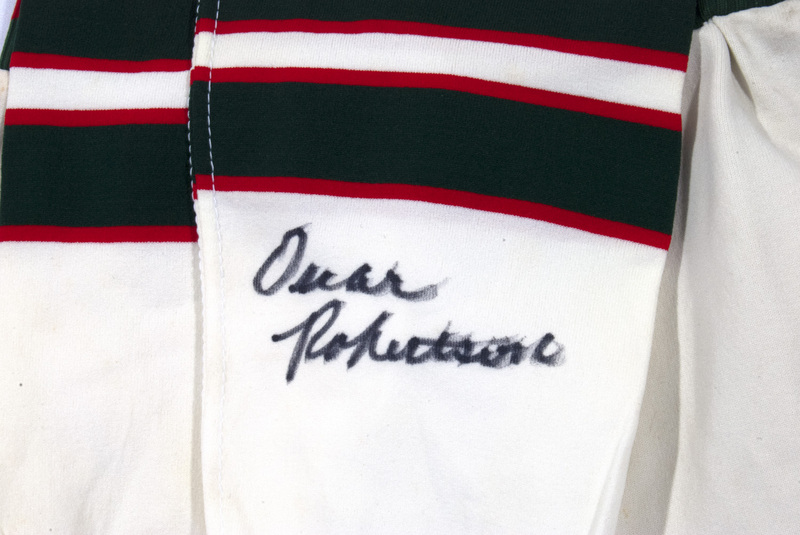 Featured here are two pieces worn by Oscar Robertson during his reign in Milwaukee in the early 1970’s. 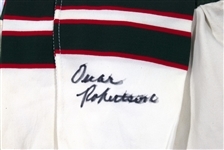 The home white shorts are trimmed in green and red with a colorful Bucks head logo sewn on the left thigh. Oscar’s No. “1” he wore as a Buck is sewn inside the rear in green on white felt strip tag. The drawstring is missing from the waist and no size or manufacturer’s tagging is present. 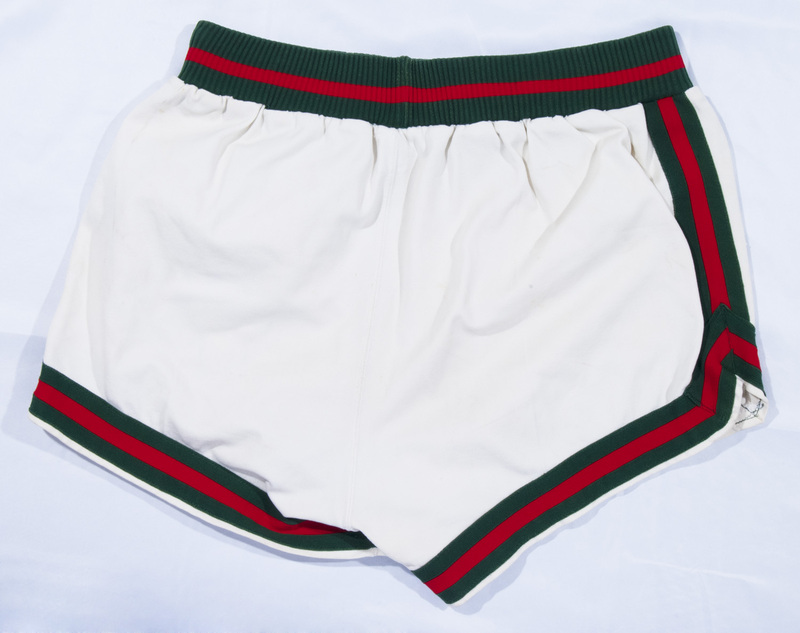 The trunks are accompanied by his rarely encountered stirrup socks in white with thick green stripes trimmed in red to align with Bucks team colors. 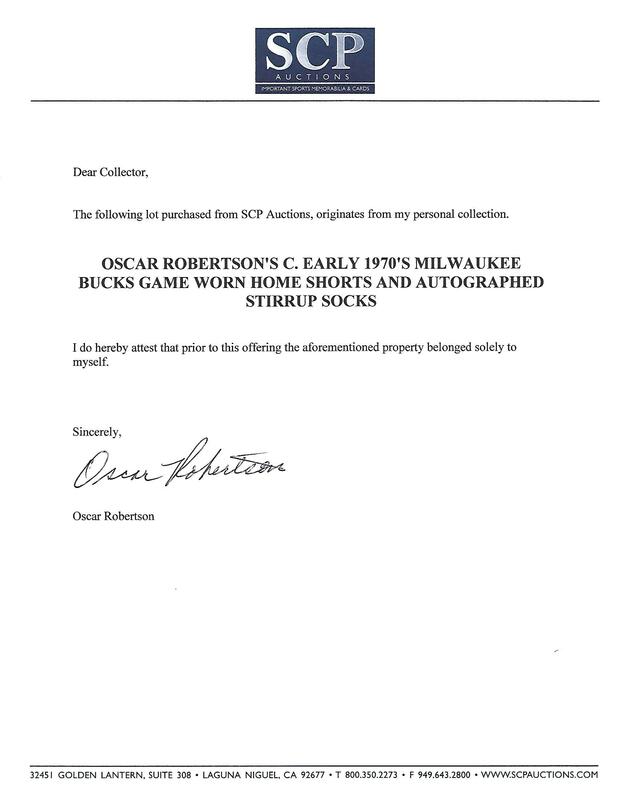 Oscar has autographed one sock in bold black marker. The shorts show moderate usage, while the socks (tied together) show lighter but evident wear with signs of being laundered. Colors remain bright and sharp on both articles. A terrific game used pairing from The Big O’s time with Milwaukee where he was able to claim his one and only World Championship. Includes LOA from Oscar Robertson.